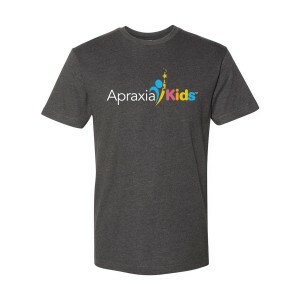 Raise awareness of childhood apraxia of speech in your community! Whether it is during Apraxia Awareness Month in May, or year-round, there are many opportunities to inform others of CAS! Write a “letter to the editor” to your local paper about Apraxia Awareness Month. We’ve created a sample letter to the editor for you to adapt as you see fit. Additional information about Apraxia Kids is available on our website at the Media Room. Request of to 5 of our brand new brochures FOR FREE. Our new print materials explain what is Childhood Apraxia of Speech, how our programs help support children with apraxia and how teachers can give a special introduction to CAS to their students. 26 States proclaimed May 14th Apraxia Awareness Day in 2018. Check out the proclamations here! Distribute apraxia information in your community! 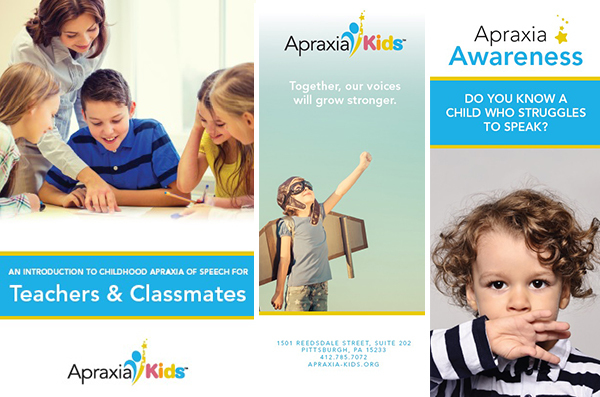 Download our Apraxia Awareness Month post cards! Plan an awareness event or organized a community fundraiser! Be the Voice in your community. Please click here to register your event with us so we can support your event! When you celebrate Apraxia Awareness Month at your school, work, church, or community event, please encourage everyone to wear blue in support of children with apraxia of speech! Make sure to take photos to share on social media! Visit our Pinterest boards to get ideas about how to raise awareness in May! Every child deserves a voice, and your stories help give a voice to families affected by childhood apraxia of speech. For this year’s Apraxia Awareness Month, we want to share your stories with the world. If you are an apraxia blogger, advocate, or just someone with a story to tell, we need you! Please submit stories between 500-1000 words via email to karab@apraxia-kids.org. You may include a photo of your child, and provide any information about yourself, your blog, or your website separately – please do not include links in your story. Selected stories will be posted on our website and featured on our social media during the month of May. Curabitur mi orci, luctus id sem eu, fermentum convallis odio. Suspendisse potenti. Nam convallis pharetra sem, non viverra orci sodales eget. Sed rutrum leo id est gravida, at porta libero facilisis. Families of children with apraxia of speech continue to face a world where most people they encounter have never heard of CAS. Your donation helps make sure that apraxia is not only recognized by the general public, but diagnosed and treated appropriately.